Photo of Sylvie Drapeau copyright © Martine Doucet. Sylvie Drapeau is an actor and playwright. In 2008 she appeared on stage at Théâtre du Rideau Ver in a play titled Avaler la mer et les poissons, which she cowrote with Isabelle Vincent. 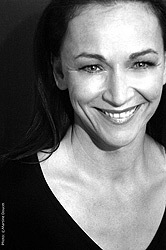 No stranger to the stage, her long career in theatre began in 1986 when she appeared in the Jean-François Caron play, Donut, directed by René Richard Cyr. That was the year she graduated after spending four years at the National Theatre School in Montréal. 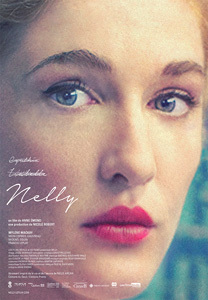 Poster for Nelly courtesy of Entertainment One. Donald Sutherland plays John Paul Getty in the TV series Trust. What other Canadian actor plays the fictional character of James Fletcher Chace in the same series? Brendan Fraser plays the role of James Fletcher Chace in Trust.